So, it's certain I'll never be a politician; not that I ever wanted to be. Last summer, I read The Great Gatsby for the first time in my life; my earlier review is below. I'd seen the movie (I've seen just about every movie with Robert Redford in it. ), but I'd never read the book. (In high school, my favorite teacher taught British Lit. Perhaps I should have branched out.) Upon further review, I shall eat crow whenever anyone reminds me of my earlier dubiousness concerning its greatness. My second reading of this classic truly opened my eyes. Instead of rushing through it so I could say I'd read it, this time I essentially read this line by glorious line. I underlined a hundred well-turned phrases. A few noteworthy examples: "... high over the city our line of yellow windows must have contributed their share of human secrecy to the casual watcher in the darkening streets, and I was him too, looking up and wondering. I was within and without, simultaneously enchanted and repelled by the inexhaustible variety of life." And "... I like large parties. They're so intimate. At small parties there isn't any privacy." More: "he was... second cousin to the devil." And lastly, "The city seen from the Queensboro Bridge is always the city seen for the first time, in its first wild promise of all the mystery and the beauty in the world." A close second, in my opinion, to Fitzgerald's superior turn of a phrase is the sublime subtlety with which he lets the facts of the story unfold. Never too soon, never too obvious. Brilliant! 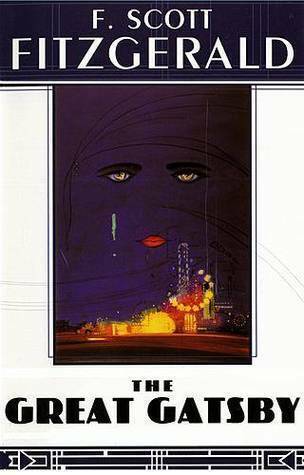 The Great Gatsby has become my all-time favorite novel... or at least it's now in my top five. You know what I like about the 21st Century? The ability to say anything I want, and the platform from which to shout it. If The Great Gatsby were submitted to an agent today, as is, by a no name author, I wonder what the response would be. Don't get me wrong, I agree it's a great read, but what would an editor do with it? Is it just me, or could this prose use a little cleaning up? Ok, so in 1925, when it was written, perhaps the rules weren't as stringent (or were they more so?). The Elements of Style wasn't published until 1959—maybe now it would be edited differently. In any case, now that I'm analyzing literature (albeit from a non-editor's background), I'd make a few changes. What's important here, of course, is not the punctuation, etc., but the story. Yes, it's superb. Sign into Goodreads to see if any of your friends have read The Great Gatsby. Karolyn, good to see you give this road-haunted romance, melancholy yet full of melody, a closer read. John wrote: "Karolyn, good to see you give this road-haunted romance, melancholy yet full of melody, a closer read." Yes, I need to let go of my automatic grudge against anything I'm "supposed" to love.